We have the most interesting weather in our part of Virginia. One week we have sleet and the next it is hotter than normal. We rarely have normal Spring weather. As a matter of fact, I’m not sure I’d even recognize normal Spring weather since we so rarely see it. There were so many yard sales this weekend that we couldn’t get to them all. One of the larger communities in our area had their annual sale and it was well attended. The families in this neighborhood definitely got the memo about participation. My first purchase was for my YSCE who faithfully chauffeurs me around each weekend. A true Beatles fan, these were some books he didn’t already have. 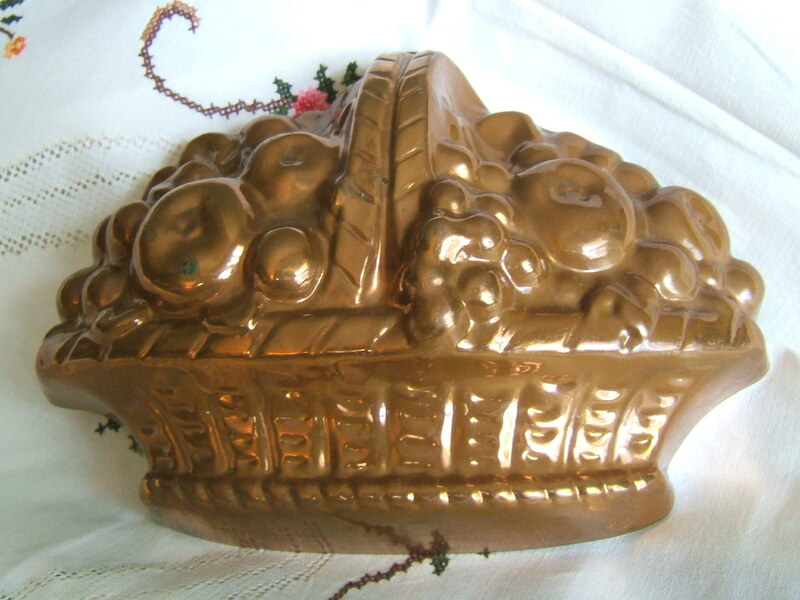 I found this copper mold for $1. 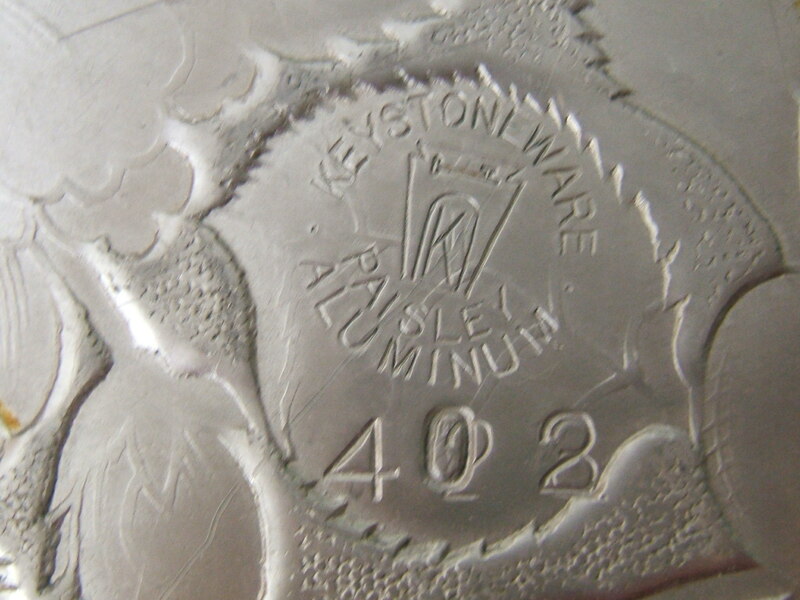 It is quite heavy which makes me think it might be an older mold. 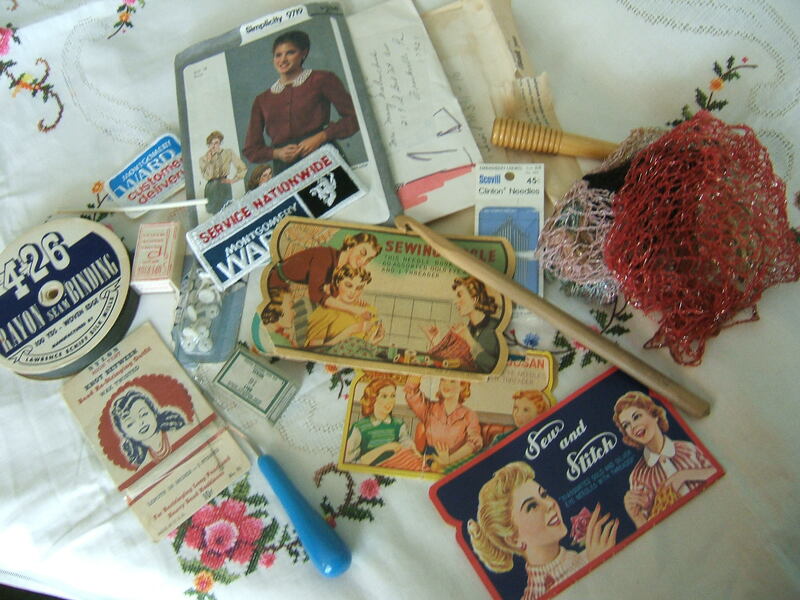 I found a bag of vintage sewing items at a yard sale being held as a fund raiser for a local women’s garden club. I splurged and bought it for $4. There were some lovely vintage linens also for sale, but I had to leave them behind for other buyers. I especially liked finding the vintage needle cards since they were perfect to display on one of my favorite finds of the day – an old flower frog. I really splurged on this purchase. I spent $5 which is way above my comfort zone. Yes, I am very frugal, but this is something that had been on my wish list so I parted with my fiver. I got these brooches at a sale where the gentleman was selling quite a bit of his mother’s things. 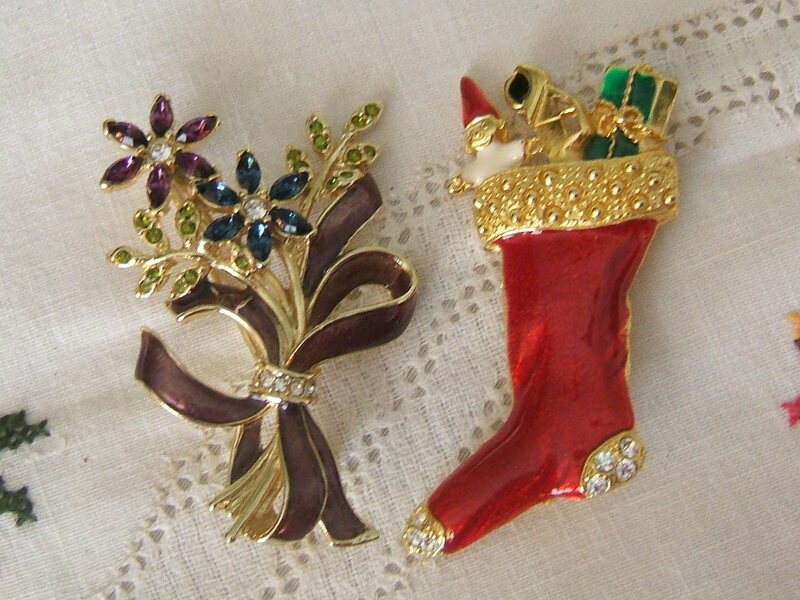 The flower brooch is a Monet; I don’t know the maker of the Christmas stocking. For a little fun, I picked up some magnetic German poetry words. 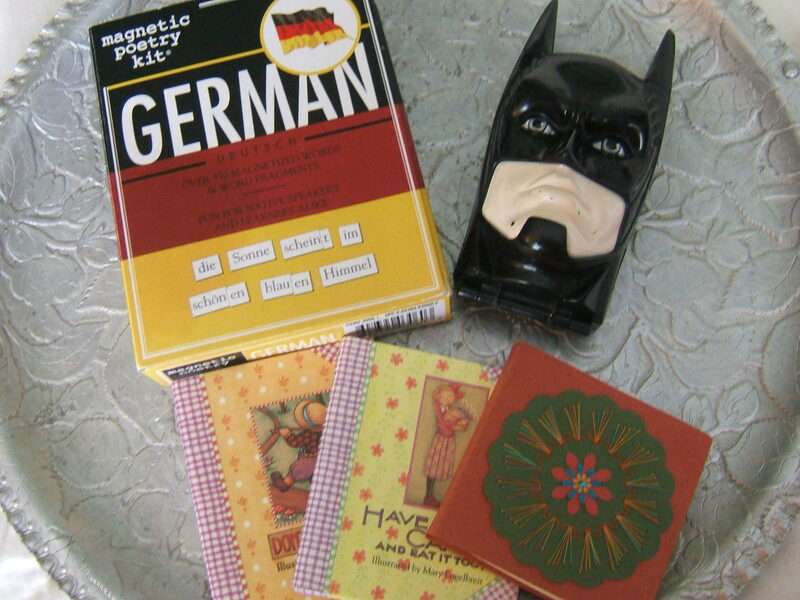 The little Batman is for the YSCE and the tiny Mary Englebreit books and hand-sewn notepad are for future gifts. The tray these items are on was another of my favorites. I found this one at a church sale tucked in a box with loads of plastic trays. I love the size, pattern and pretty handles. You never know what you might find in a box that looks like it contains nothing but junk, so don’t be afraid to dig through those boxes. I paid $1 for this lovely aluminum tray. I think I got a good buy, don’t you? We didn’t have time to visit half of the sales that were around, but the ones we did proved to be quite fun. It was a hot day for hot vintage finds! 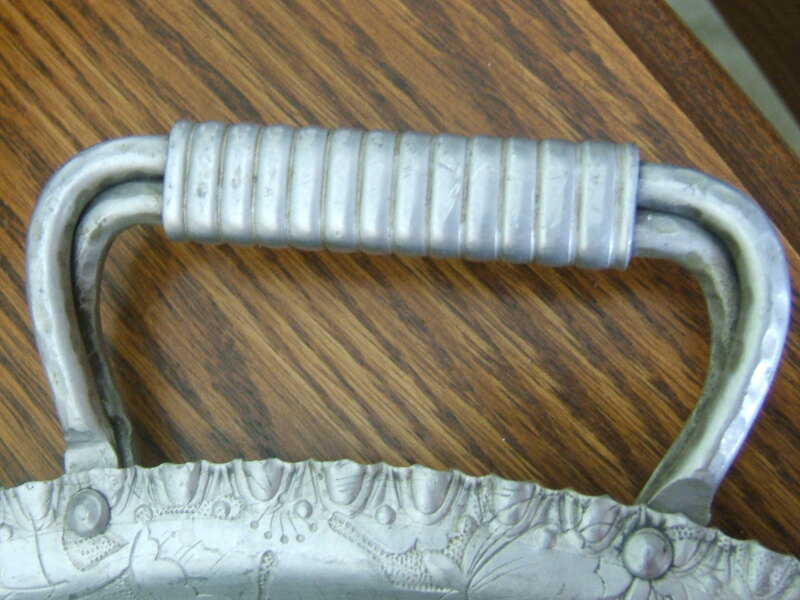 This entry was posted in Garage Sales, Uncategorized, Vintage, Yard Sales. Bookmark the permalink. You sure did score! 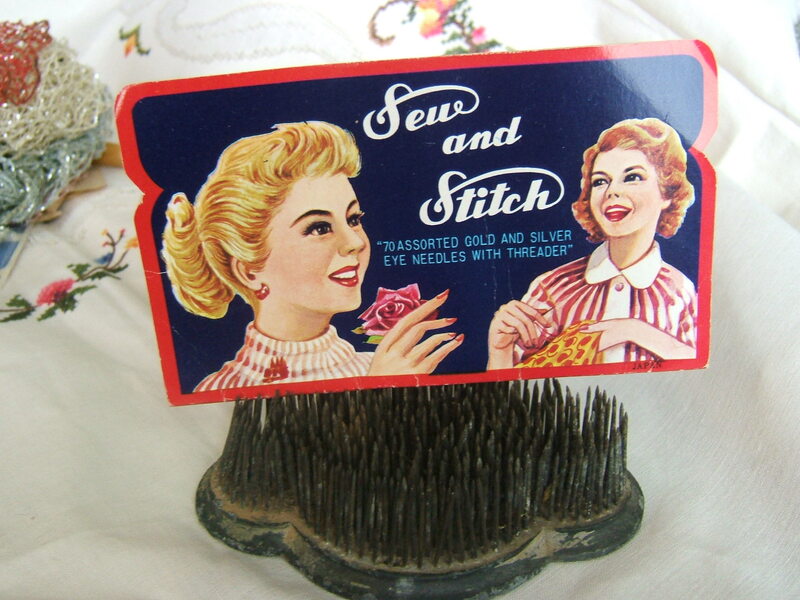 I love those sewing notions and the aluminum tray. Great books too; I’m always on the lookout for books for my son (like he needs more). I sometimes wish I could be in two or three places at the same time because it’s impossible to get around to all the good sales every weekend. Tammy – I love the vintage sewing and that flower frog is fabulous, I don’t know that I have ever seen one that is shaped like that. 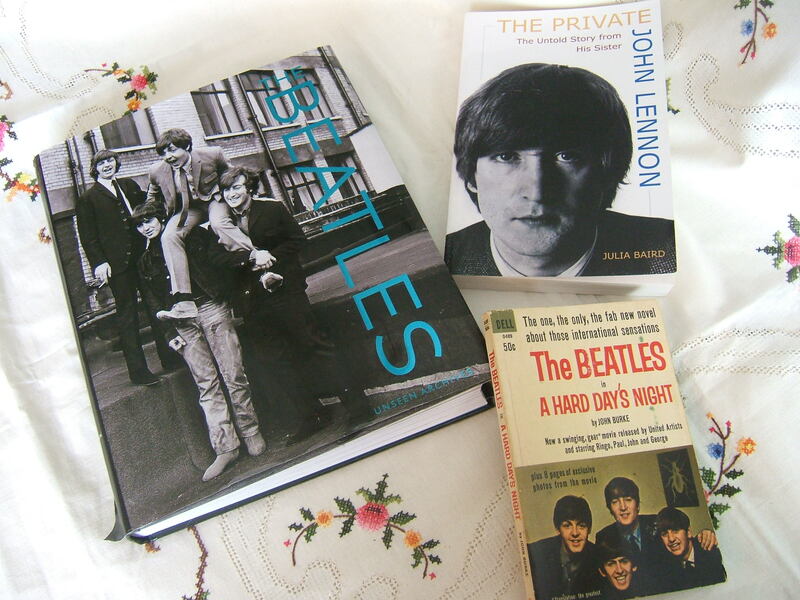 As for the Beatles stuff – I’m just jealous! I am always on the hunt for Beatles stuff but rarely come across it. OH those sewing notions! Great find. 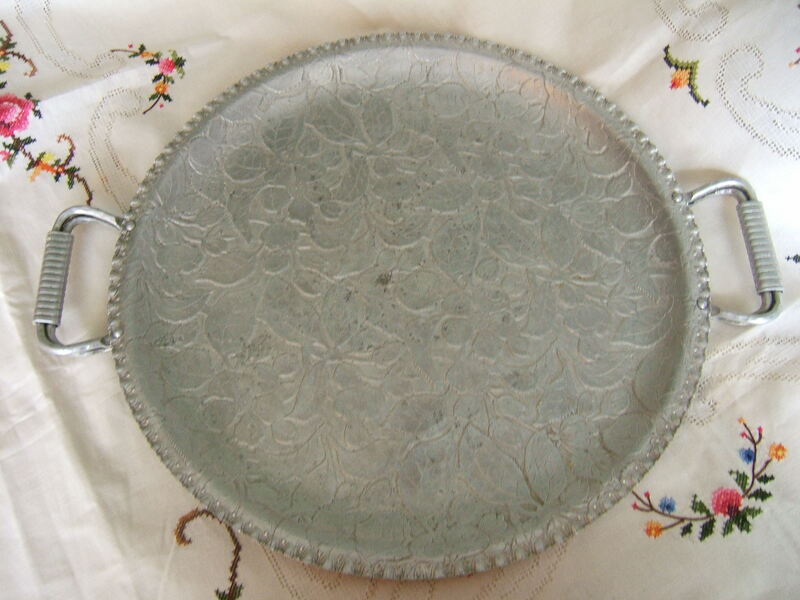 And the aluminum tray – I see these occasionally, but not for your great price! Those sewing notions reminded me of how I learned to sew(kind of lost the skill though). 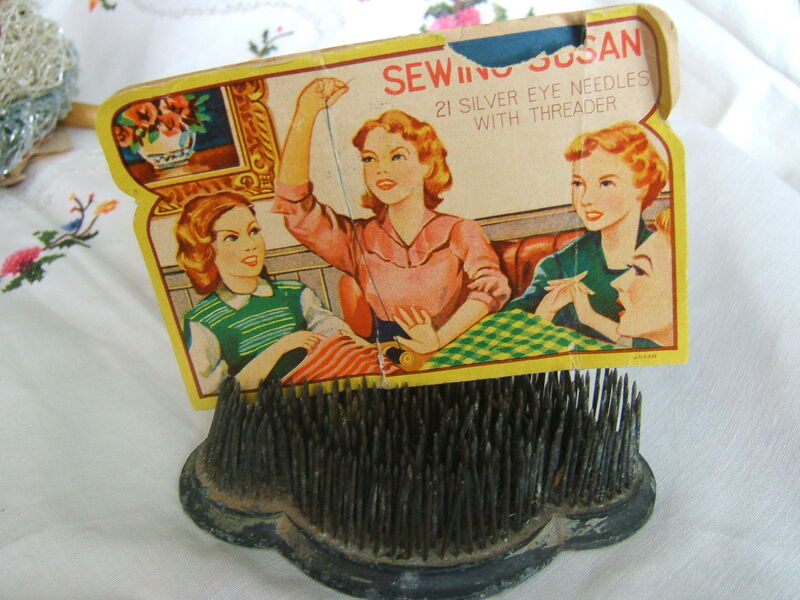 I was in a 4-H club for sewing – we called ourselves the Sew n Sews. Kind of catchy I think. The sewing items and the pins are devine!! And divine. sigh. It was a long day! Loving all the lovely vintage packaging in this haul! Your finds were all excellent. I love the flower frog, mold, pins–well, just about everything, really. You rock! All great finds Tammy! I love the aluminum tray. It is hard to find them with handles. I can’t wait to hit some garage sales! Thank you for sharing this with us this week at TTF. I hope you have a wonderful weekend!